We will discuss some aspects of both social media activity in dentistry and some top dental blogs lists that are available. The Bellevue Dentists at Brookside Dental in Bellevue WA have two blogs. One is our main website dental blog which you are reading now and the other is a stand alone cosmetic dental blog devoted to various aspects, techniques, and methods of cosmetic dentistry. Some information is similar on both blogs but there is considerable unique information on the two blogs. Brookside Dental was listed as a Top 10 Social Media Dentist by Dental and Health News which was really great and kept us wanting to do more to interact on the various social media platforms. The Dental and Health News social media list will obviously change from year to year as the 2011 dentist list is understandably quite different from the current 2018 list. We are active and intend to stay active on Twitter & FaceBook in addition to several other social media sites. We also have some nice You Tube dentistry videos posted regarding our dental practice and patient testimonials and hope to produce more dental videos. In addition to following many interesting things in the field of dentistry, we have some favorite dentistry blogs that we follow, two of which are the Dental Heroes Blog and the South Florida Cosmetic Dentist Blog. For general information about blogging we are big fans of Susan Gunelius on About.com which we discussed on our stand alone cosmetic dentistry blog in a unique article. Although not exactly a blog, my favorite dentistry information site is Animated Teeth. Animated-Teeth.com is a website that provides illustrated information for dentists and their patients covering a wide spectrum of dentistry topics with fabulous illustrations and photos. We also follow the Modern Family Dental Daily by Dr Taj Haynes and regularly Tweet his articles. I recently saw an article that stated that dental offices should get their websites listed on every social media spot possible. I would have to agree with this statement to the extent that it is possible to do if time permits. However, it does take a lot of work. Getting those listings will hopefully give your dentistry web site good quality social media back links which will increase your search engine rankings. But because of the large number of social media sites, each office will have to concentrate on where they want to place the majority of their emphasis and time. It appears most dental offices with a social media presence utilize Face Book and Twitter. Due to being included as a Top 10 Social Media Dentist, we decided to do a search for “top” and “best” dentistry blogs available on the internet since all of these top ten dentists have very nice blogs. We found several lists that contained excellent dental blogs. One of the best was Dental Heroes Fantastic 5 of which we were not included. However, we have no quibble with those selected as they are all excellent blogs about dentistry. 8 Dental Blogs That Hit the Mark – this 2012 article notes 8 Top Dental Blogs as listed by Maverick Social Media that hit the mark according to them.It was the first mention of our Brookside Dental Blog that we found in a list of top dentistry blogs. Referring to our site, it was stated, “This [Brookside Dental] is a dental website that has incorporated both blogging and video. Topics are interwoven and design is very clean.” We are honored to be on this list compiled by Maverick Social Media, since dentistry.about.com is also on this list and is one of our favorite dental blog sites. The Maverick Social Media Site has some really excellent articles for website development and placement, so we encourage you to visit their site. She and her husband, Dr Brian Cave, were both named Top Dentists in 2011-2012 by the USA top dentists website. Additionally, they were both selected as Top Dentists for 2012 by the Seattle Met Magazine. The dentists at Brookside Dental in Bellevue Washington consider it a wonderful honor to have been selected as a top dental blog award winner by Free Dentist Finder. This list of 50 blogs is truly a cornucopia of dental information and should by good reading. Their 50 listed blogs are separated into the following categories: General; Advice & Resources; Technology; Dentists; and Specialties. This listing of 50 blogs provides an abundance of dentistry information. Are there Any Good Dental Blogs – this is a unique list of 10 dentistry blogs compiled by a dental student who wanted to see how a dental blog might be composed upon degree completion for a new dental office.It states, “I did a simple search…Based on the relevance of recent entries, the design, and the quality of writing, here are some of the best…” This dental student has only 10 top dentistry blogs listed in this educational posting. Regarding Brookside Dental in Bellevue WA it states: “This blog is also linked to a dental practice website. [They] provide information regarding their practice and, like Dr O’Neill [previous blog listing], services offered as well as general topics in dentistry and patient education. That list really makes us feel good and that this aspect of our Bellevue Family and Cosmetic Dentistry practice is serving a useful purpose. It also tells us that we are getting some very good information in front of people reading about dentistry. Our goal is obviously two-fold to help inform and educate our patients and also to present interesting material to members of the dentistry community. In addition to our blog, we try to make our entire website a site with current information about dental methods and techniques which are well illustrated with photos taken in our office of our patients and staff. Please visit our website at https://www.brooksidedental.com/blog for other information. Also, you can follow us on Twitter: @Bellevuedentist. Top 50 dental blogs links you share in the blog is awesome as some of blog in this links was really informative. I like to keep up with what other dentists are doing in the social media and blogging world. Thank you for compiling this list. Dr Logan, thanks for the nice comment and stopping by our blog. Really great list of dental blogs to checkout! This is the very helpful blog by this person can get the better treatment. I really like your blog presentation. It is informative too, at the same time. I have gone through few of the blog links which you have shared. This has helped in clarifying some of my doubts about cosmetic dentistry. Thanks a lot for your guidance! There’s a lot of good reading to be done in the sites you link out to.. Many thanks Barry and we enjoy your posts on G+ as you have some great information there. Thanks Barry, we appreciate your comments and thanks for stopping by. Thank you for this post, we are new to the blog world and trying to understand what attributes we want to put on our own blog and which to keep out. This list will sure help us to do the best for our own business. Thanks for this post .I found it very useful.Thanks for sharing. wow really nice blog. i got good info here. and thanks for this post. Most of this blogs suspended, but I’m find some interesting blogs here. Thanks! For providing nice information related dentistry!!! I was looking for some good dental blogs at last I found this.It will give good information and regular updates for every dentist.Thank you,keep posting..
Thankyou for offering such great insight of blogs and indeed have given a lot of information. We at Tracy Arch Dentals feels that you have done a lot of hard work and really saved our time in finding the best ones! CommentWhen Should I Take My Child to the Dentist? are you find kids dentist near me just for kids dentistry! every kids dentist good for kids kids dentist,we need to find best the kids dentist. Nice blog post….Thanks for sharing with us keep posting good information !! Thanks for the compliment Root Canal Specialist. Thanks for your comment Dr Lin. Thanks for the additional listing and link. Thank you so much for providing such a great information about dentistry. Great list. We all know posting blogs and doing some social media is a huge opportunity for us to share our thoughts as a dental practitioner. Thanks for sharing, great article and marvelous content. This is a great article with lots of informative resources. Check out our website https://johnpowersdmd.com for more dental related info! Thanks for visiting our blog. Glad you could utilize our top dentistry blog listings. We visited your site at https://johnpowersdmd.com/ and found it to be easy to navigate and informative. Keep up the good work. Nice website that you have. thanks for checking out our blog. Walkerville Dental, thanks for visiting our blog. Glad you could use the information of the Top Dentistry Blog Listings. Thanks its an interesting read. Very good compilation of all details. Excellent Post. I just bookmarked your blog and I have really enjoyed reading your blog posts. First and foremost, starting visits at age one gives your child the best start for preventing tooth decay through cleanings, topical fluoride or, in some cases, sealants. I appreciate with the article, For a truly healthy smile, it’s also important to make the right lifestyle choices. Nothing is more beautiful than a healthy smile. It looks great to those around you and makes you feel good. Really useful information and it’s great article with good resources. Checkout our website for more dental related update. Thank you very much for the information, I am creating a directory of dental clinics at https://www.dental-office.org/ and some of these blogs mentioned will be reference. Such a wonderful article. Thank you for listing out all these blogs in one place. I haven’t gone through all of them. But, I have read a few and never regrets the time I spent reading them. It is nice to see people are taking dentistry seriously. Oral health is as important as any other part of the body. While surfing the internet, I found a blog created by a Dentist in Brampton (https://www.dawsondental.ca/our-locations/brampton-dentist/). You can find the blog on their website. They have some informative articles. Good writing. Our fast-paced life and changing lifestyle affects our daily routine habits too, under which one such practice is not taking care of dental health. Poor dental health or hygiene later results in very painful and bad situation, which sometime can’t be handled. In my opinion for any kind of dental health care issue , you should always visit the best dental clinics for better treatment. We like your article and please visit our website aecmc.com. thank you for the information of dentistry. the blog is very nice. Akash, thanks for the nice comment about our blog. Very good blog. It’s fully informative about dentistry. You can also check this. Dr. Roze, Thank you for the nice comment. Your dental website is very nice – you have a large international staff which is very impressive. in 2011 an article was published regarding the Top 5 Dental Blog Award Winners by the Free Dentist Finder website.They indicated that these “[Top 5 Blog] Awards were made by Medical Billing and Coding, and evaluated by their panel of judges.” They state that, “This is the blog of Dr Cynthia Pauley, a family and cosmetic dentist has recently been listed a one the Top Dentists for 2010-2011 by USA top dentists website.” For other information, you can contact to http://www.wisdomdentalclinics.com/. Thank you Wisdom Dental Clinic for the nice comment. Dr Cynthia Pauley has been listed as Seattle Met Top Dentist every year since 2011 up to and thru 2018. She and Dr Brian Cave have been informed they are to be included as a 2019 Seattle Met Top Dentists. Barming Dental Centre, Thanks for visiting our blog. Laticia @ https://www.urbndental.com/ thanks for visiting our brookside dental blog. Thanks for sharing the top blog list but it would be better if you shared the URL of the top listing blogs. Thank you for visiting our blog. You made a good point about including the URLs for the Top Listing Blogs. This was an oversight, as I thought they would show up when you place your browser over the title. I may redo and update the blog listings and I will be sure to include the URLs – thank you again for bringing it to my attention. Thank you for sharing these sites. Some of them are very helpful and informative. Ocean Sight Dental, Thanks for visiting our blog at Brookside Dental. You have a very nice website, which I visited. I impressed by your post, it is really intrusting knowledge about dental care which is very necessary for everyone. I like thoughts also which you provided us. These are very useful tips for taking care of our dental health. Thanks for sharing this post. We will wait for your next post. Thanks for visiting our blog Brookline Dental. Both dental blogs are great and still being updated with quality content after all these years. Keep up the blogging effort! Thank you https://www.tcsmiles.com.au/ for visiting our blog. Appreciate your comment. This is exactly what I have been looking for! Thank you so much for posting this topic. dental elements, Thanks for visiting our website and leaving a nice comment. You are correct. However, there are still some dentists that use yellow page ads, which is surprising to us. 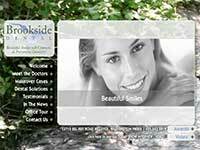 At Brookside Dental in Bellevue, we have spent much time and effort to make our website informative and easy for patients to use as a way to find out about our dentistry work. Thanks for the super comment. The article gives a detailed insight on dentistry . The author has provided detailed note on various aspects of dentistry and smile makeovers. Thanks for visiting our blog. Thanks for the nice compliment. Best Way to Promote Dentistry Business with a Very informative Blog. Glad invest my time on this Blog. It is relevant content for any dental issue. If you have single or multiple missing teeth, you should consider dental implant treatment to improve the cosmetics of your teeth and the chewing functions. Many of the articles listed here have implant information. Really very nice article and beautiful Collection of information about dentistry and tips, I am surprised to see this beautiful collection Thank you for sharing this article. Glad you could use the websites cited in this blog post. Thanks for your this brilliant blog, this information is helpful to me. Aimil junior smiles also offering kids dentist near me, Delhi INDIA. Thank you for the article, Really helpful blog and information. Great list. Keep sharing interesting and informative post. Wilbert, Thanks for your comment on our blog. Angat Patel, Thanks for your nice comment and visit to our blog. Really very nice blog. Your way of explanation is really good. Visit our website at https://studiosmilesnyc.com/. Sonu, thanks for visiting our blog. Thanks a lot. upadate always aticle. Awesome blog learnt the great way to promote any business including dentistry, using blogs and blog listings, now the blog is in trend..!! 😉 will definitely use for my blogs. Social media seems to be the hot topic on just about every blog and every article I read, but I know why; it’s because social media marketing is probably the most underused type of marketing around; which is ironic because it’s virtually free. This article explains how you can use blogs to promote your dental practice to static websites, promote the blogs on sites such as Facebook, and get patients by building an in-house email list.